Pest control is one of the most important aspects of running a nursery, and can also be one of the most expensive. Without a good pest control program, all of your prior hard work will be in vain as plants are ravaged and destroyed by pests. So what exactly is a pest? 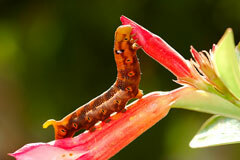 Diseases, insects, mollusks, nematodes, weeds, and animals are all different categories of pests. The first step in good pest control is figuring out which pests are harming your crops. How can you identify your pest? Well, sometimes you can see pests, so they are quite simple to identify. In other situations, you may have to examine the type of damage done to your crops to figure out the kind of pest that's been plaguing you. If your plants are infected with a disease, such as fungi, bacteria, or viruses, it will mostly show up as spots or rotting of the leaves, roots, or stems. Viral rots usually are accompanied by yellow leaf discoloration, while bacterial and fungal rots usually have a bad odor. Fungicides can be used on fungus, while antibiotics can be used on bacteria. Since there is no effective way to rid a plant of a virus, infected plants should be removed. If you have insects, chances are you've seen them with your naked eye. Each type of insect has a certain plan of attack, and each one damages your plants in specific ways. A variety of sprays, gels, and baits are designed to rid your plants of insects; they vary according to the type of insects. For organic farmers who don't use chemicals to control pests, there are several natural methods designed to control and rid your crops of insects. Nematodes are microscopic, worm-like creatures of many different types, most of which are actually good for your crops. However, there are several varieties that are damaging. Because there is no way to completely rid your soil of the bad nematodes, the only way to truly combat them is to use a soil full of good microbes that keep them somewhat at bay. Weeds are another nursery nemesis. The best way to control weeds is to keep weed seeds from entering the nursery in the first place. If you find a weed, manual removal is best. Some plant nurseries use sprays upon finding weeds, as well as precautionary pesticides. The last area of pest control is animals. While animals are more of a problem in residential gardens, they can pose a problem at nurseries as well. The best way to control animals is to erect fences and barriers to keep them out, and to talk to your county extension agent about the particular types of animals that are causing problems, as well as what you can do to keep them out of your nursery.